You probably know St. Charles Avenue as the gracious, oak- and mansion-lined thoroughfare connecting downtown and Uptown New Orleans, or as the glittering, bead-hung route favored by New Orleans’ most prominent Carnival krewes. The “jewel of America’s grand avenues” is all these things and more–it’s home to a number of equally charming businesses, restaurants and historic venues. Here are a few must-see destinations that are worth hopping off the streetcar to visit. The longest continuously operating streetcar line in the U.S., the St. Charles streetcar has been trundling up and down the neutral ground since 1835. A ride on the vintage streetcar costs $1.25 each way (exact change required) and takes about 40 minutes. Open the window, peer out and take in the grandeur. Filet mignon, bacon-wrapped shrimp, andouille crawfish mac and cheese…these menu items let you know Desi Vegas is New Orleans’ answer to a classic steakhouse. The prime cuts are tender and sizzling, and the ambience is bright and welcoming. If you’re fortunate enough to be in town during a New Orleans Saints game, do yourself a favor and watch it from Desi Vegas’ bar. P.S. This steakhouse is conveniently located inside Lafayette Hotel. 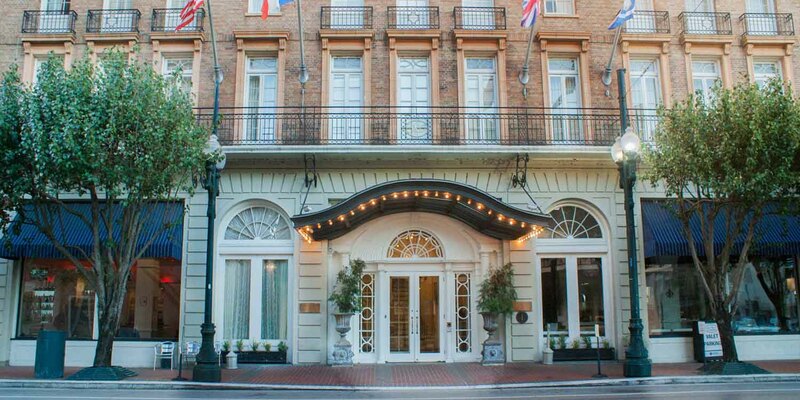 You couldn’t ask for a better jumping-off place to St. Charles Avenue than a hotel right on the famous street. Perched on the edge of a lush park, Lafayette Hotel is ideally located between New Orleans’ most desirable neighborhoods: it splits the difference between French Quarter, Arts District and Lower Garden District. 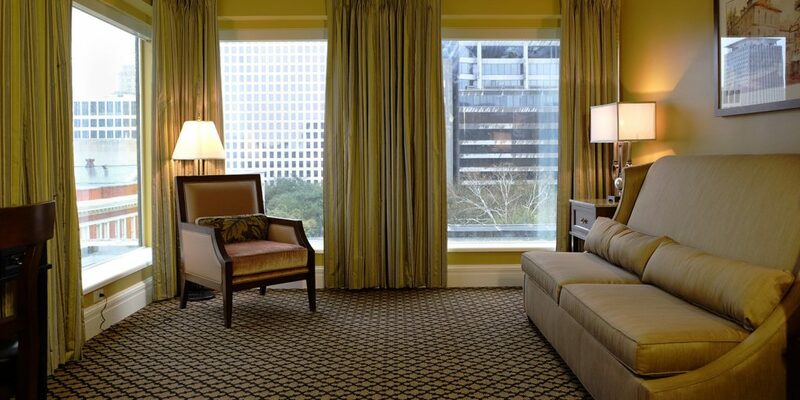 Treat yourself to a balcony room overlooking St. Charles Avenue and watch the world roll by. 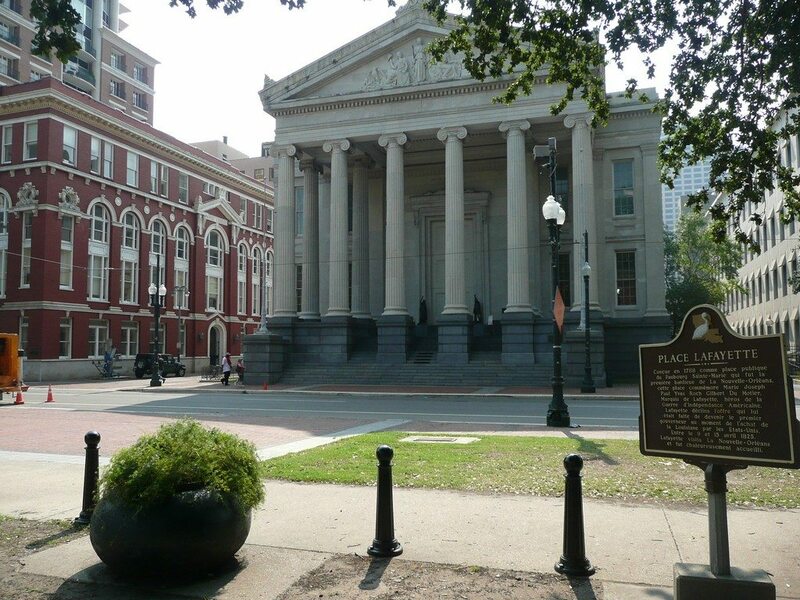 Gallier Hall served as City Hall in the mid 1800s, and the marble exterior, fluted Ionic columns and ballrooms are evidence of its past life. Today, the historic site is an events space and reception hall. During Carnival, many major krewes parade by its viewing stands, where the mayor toasts their kings. Just standing under its roof is enough to make you feel like royalty.